I'm currently going through a tartan phase, without meaning to everything I've bought recently has been tartan. 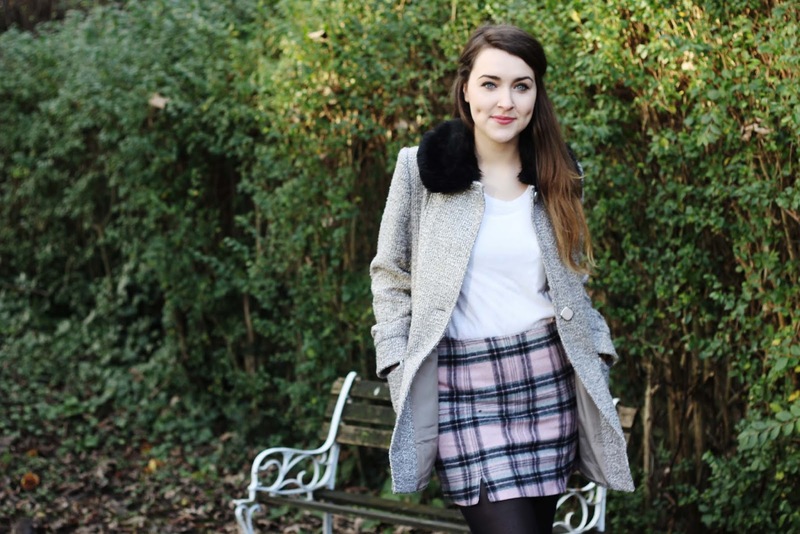 This pink skirt is one of my newest purchases from New Look for the bargain price of £17.99 and yes you've guessed it, it's tartan. I wore this with my new favourite boots from Topshop, every blogger seems to have them and I can now see why, I love them. I'm now back at university for my last two terms and it's finally hit me that I only have just over four months left, which is ridiculously scary. I'm going to have to be a grown up soon and I'm not quite sure if I'm ready. I can't bear to leave my student discount, cheap drinks and my 12pm lie ins behind. Speaking of which ASOS currently have 20% off for students so you should pick up some bargains while you can. Meanwhile, should expect a lot of my photography work being posted. If you haven't checked it out already you can see it here. Do you have a link to the coat? Love love love this look, your coat is gorgeous! Thanks, I think this look is great for winter! I love the colour of your coat and I really want those boots, they're gorgeous! Go & get them! These boots will change every outfit you own. 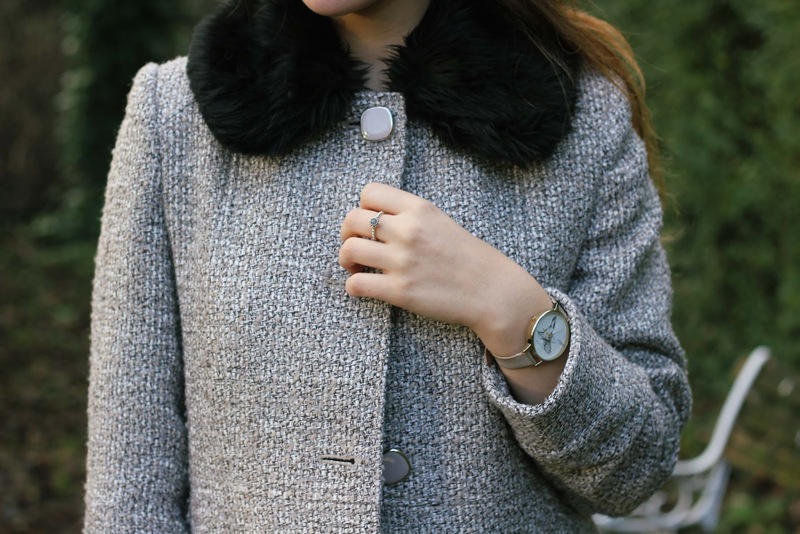 Such a cute look, the coat is lovely ! Adorable look, love your coat. Lovely skirt, I need to get down to new look! It's such a great colour! I hope you manage to enjoy you last few months at uni. Uni was the best time of my life so I am jealous. Exams and all. 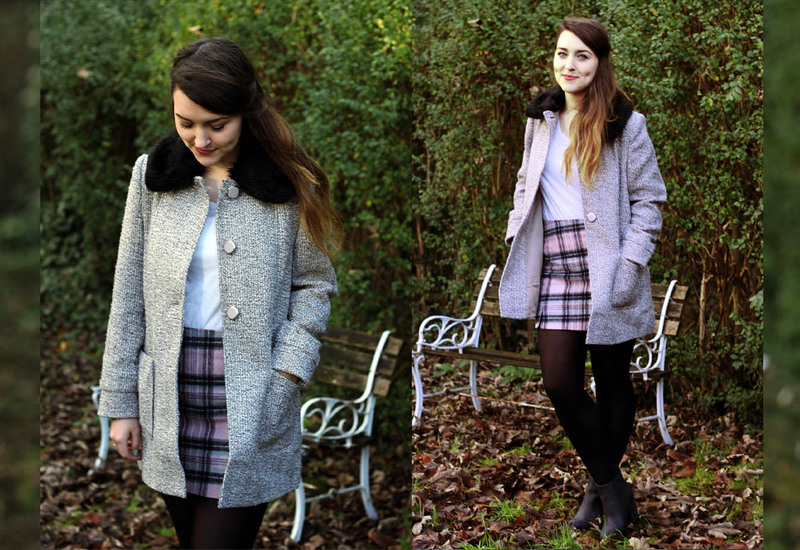 I love your skirt and coat, your blog is lovely, I'm following you now! Thanks a lot! I took that picture in autumn last year when I wasn't freezing, so don't worry I wasn't too cold! Stunning photographs you look absolutely gorgeous! I love your blog, just followed you via bloglovin!